Our historically important shrub collection features old and new plantings in harmony with the local environment. Old-fashioned favorites and native species create beautiful plantings without supplemental water, fertilizer, or pesticides. This collection and its dramatic views are part of the original O.C. Simonds landscape plan of 1907. Bloom begins with the old cornelian cherries (Cornus mas) in April, followed shortly by the native shadblow (Amelanchier). By May the lilacs come into bloom and perfume the air. As spring progresses, the hydrangeas, spireas, and viburnums have their season, along with many lesser-known shrubs such as Sorbaria and Symphoricarpos. Fall brings a diversity of fruit that are eagerly consumed by the flocks of birds that visit the Arb. 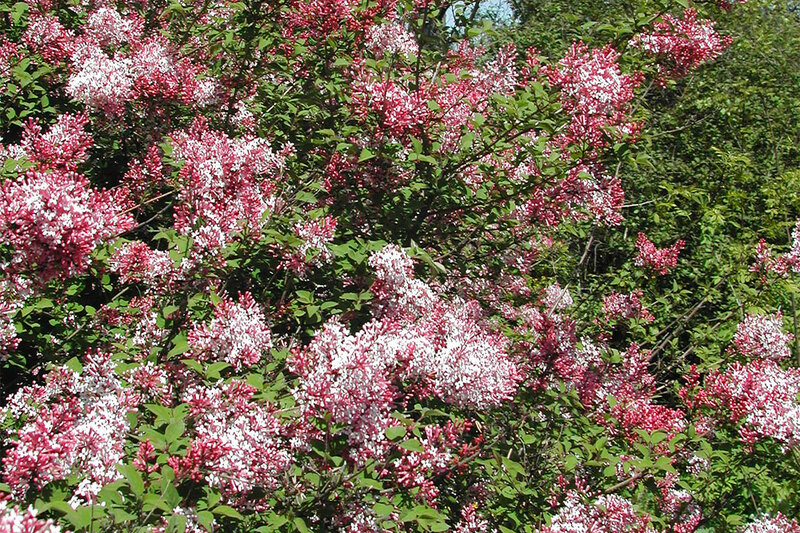 The Centennial Shrub Collection is at the Nichols Arboretum site. The Stanley Smith Horticulture Trust provided funding for creating labels for the Centennial Shrub Collection. In 2014, long-time Matthaei-Nichols supporters Ann Arbor Farm & Garden provided funds for planting 100 trees, shrubs, and perennials in the Centennial Shrub Collection and near Laurel Ridge and the Nichols Arboretum Peony Garden. Matthaei Botanical Gardens and Nichols Arboretum needs private support and offers donors many giving opportunities and recognition. For more details, please contact Meredith Olson, our director of development: merolson@umich.edu; 734.647.7847.